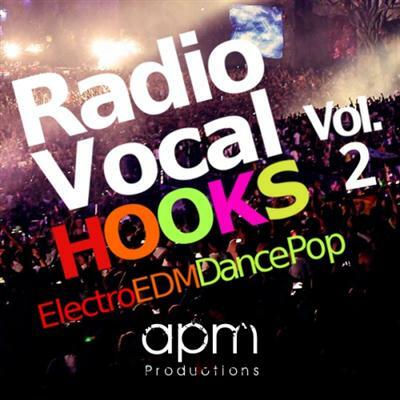 Radio Vocal Hooks Vol.2 contains the necessary ingredients to compose your last Radio Song with great Hooks. These voices has been recorded by; APM Productions & the singers of APM Productions Agency; Alex & Syrona Marye . Pop/Dance, EDM, Progressive, House or Electro songs, etc. We have Recorded 17 Vocal Kits on Dry Mode- 4 & 8 Bars - Female & Male Voices. Really commercial Hooks, adlibs, phrases and harmonies with tempos & Route keys included. You can complete your music breaks and accompany your melodies. The perfect library for your next commercial radio hit .. Objective, Simple and intuitive Vocal Kits ..